It’s hard to believe that it’s June already…especially since up in Saint-Adolphe-D’Howard, in the Laurentians, there was still snow on the ground until just a few weeks ago! Spring/summer it is, however, and the land is green, and alive. My boyfriend and I finally made it out into the woods and fields, and walked around to see whether we could discover any wild edibles to take home with us. We looked for mushrooms, but didn’t see many; I guess it’s either too early, or too dry for them. I saw a lot of strawberry plants in bloom, so I guess that in a couple of weeks, there will be strawberries everywhere! 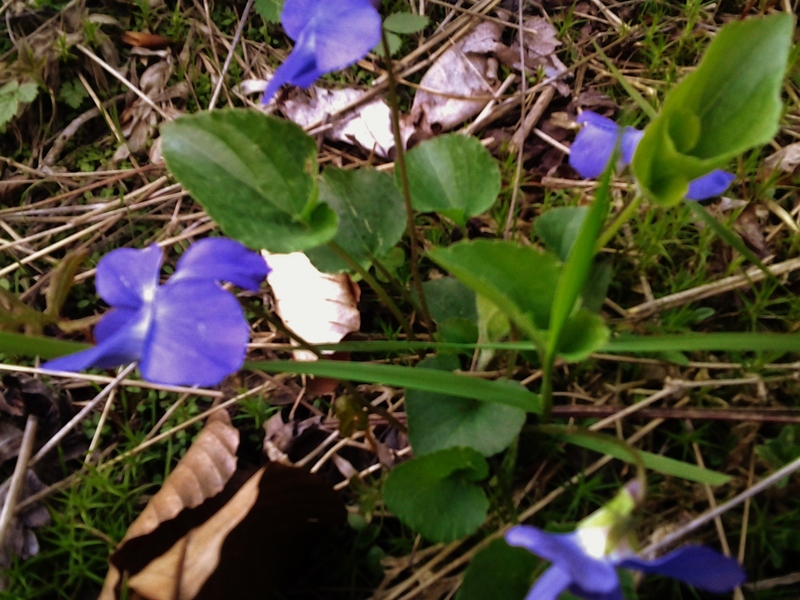 Finally, on a hill where I once found some wild irises growing, I found some wild violets. I had grown pansies in my garden before, so I found them fairly easy to identify (they are in the same family). The flowers have a distinctive striping on one or more of their lower petals. Apparently, these veins are meant to guide bees to their nectar. 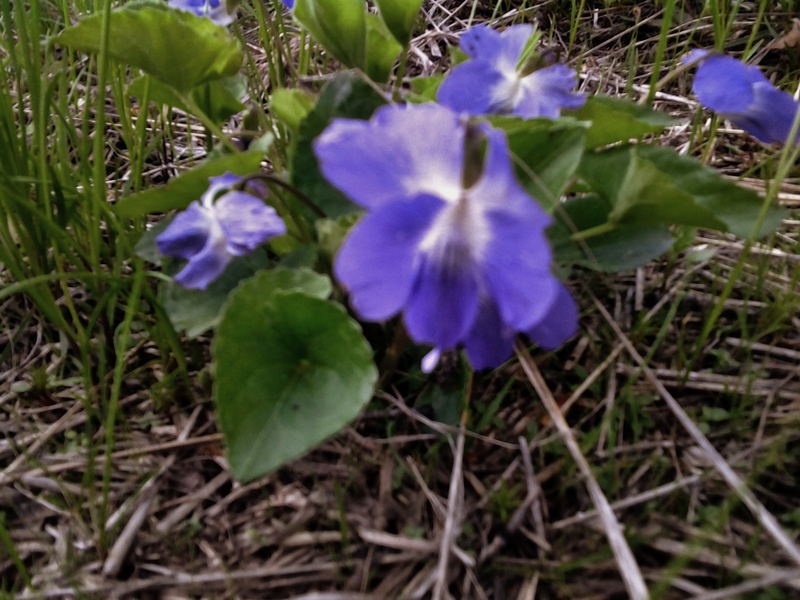 The species is, I believe, the viola adunca, commonly called the ‘early blue’, or ‘hookedspur’ violet. 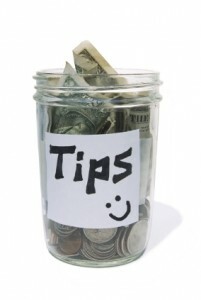 The leaves and flowers may be added to salads, and the flowers can also be candied. 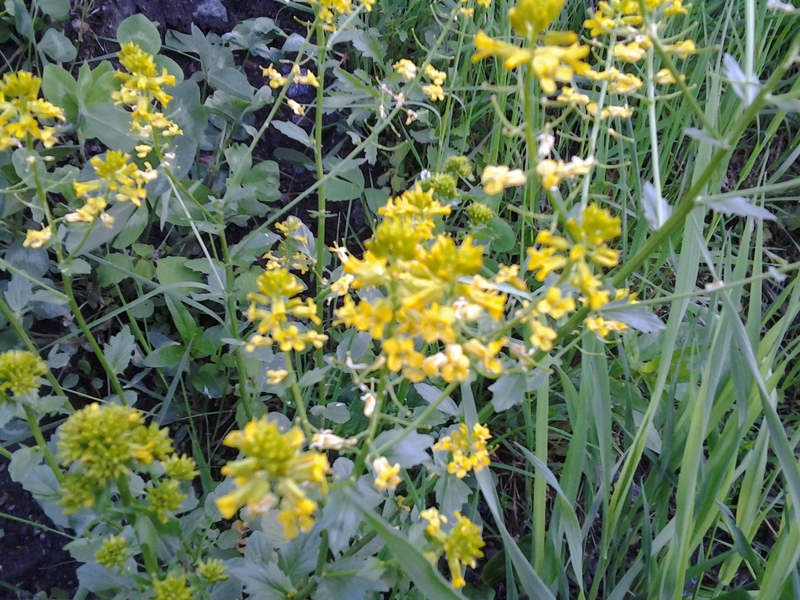 Further down, at the base of the hill near some water, I discovered some winter cress. There are, according to Wikipedia, twenty-two different species of winter cress, and I’m not sure which one in particular this one was. It was, however, also fairly easy to identify, as the leaves which were further down, near the base of the plant, looked exactly like watercress leaves. As with every plant (or mushroom) I find in the wild that I have the intention of consuming, I did, of course, make sure to look it up in a field guide (in this case, Edible Wild Plants Eastern/Central North America by Lee Allen Peterson) in order to determine if, firstly, it was/could be highly poisonous, and secondly, whether I have reason to believe that I have correctly identified the type of plant. It is, of course, better to be safe, than be sorry. After looking it up, and finding no look-alikes (and most certainly no poisonous ones), I tasted a leaf; after discerning a pleasant cress-like flavour, I picked some to take home with me. 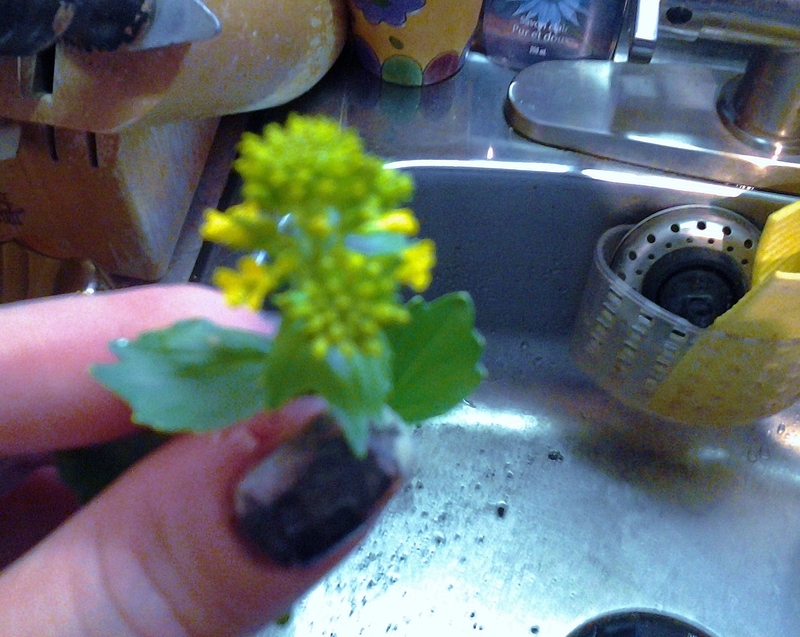 The partially unopened flower-heads looked particularly tasty, like broccoli, so I made sure to gather some of those. 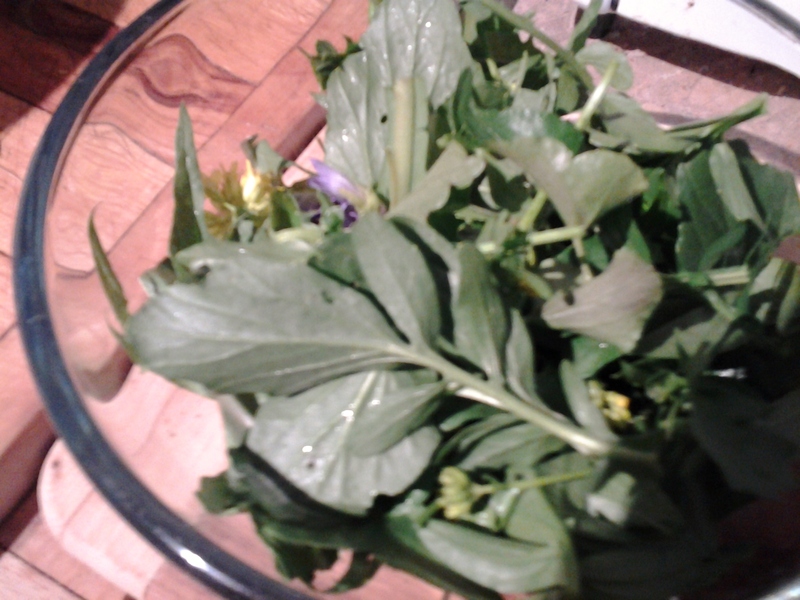 Since I now had the makings of a tasty wild salad, I gathered a few leaves from the dandelions which were growing nearby. The flowers had not yet opened up, so I was hoping that they would be a little bit less bitter than usual. 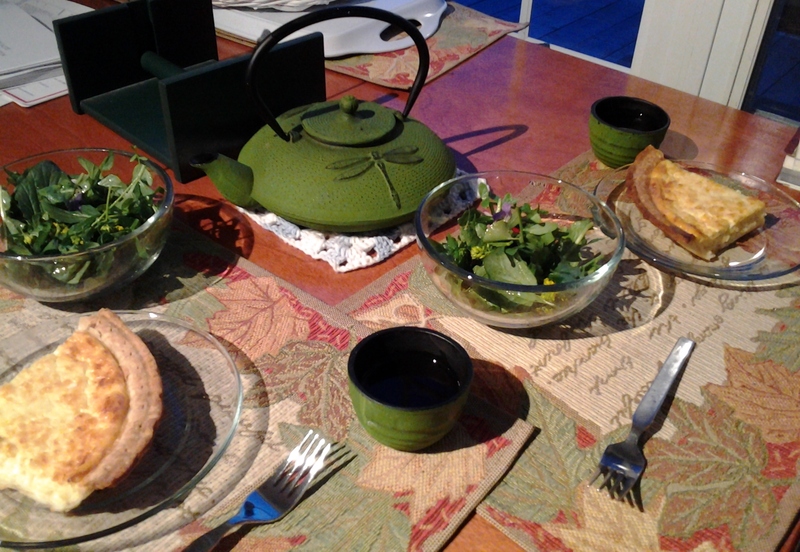 Upon returning to the house, I washed the greens and flowers carefully. 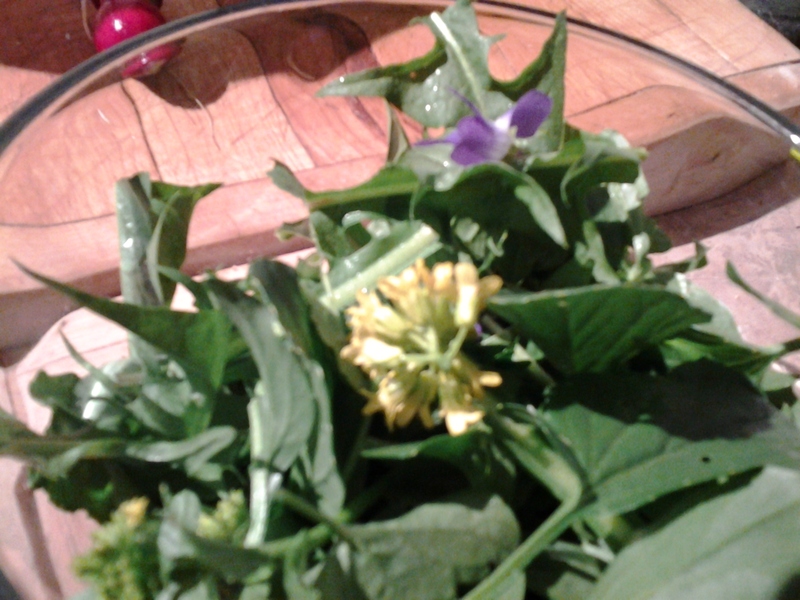 I also tasted one of the partially unopened cress flower-heads, and my boyfriend and I both agreed that they were very nice and tasted quite like broccoli. 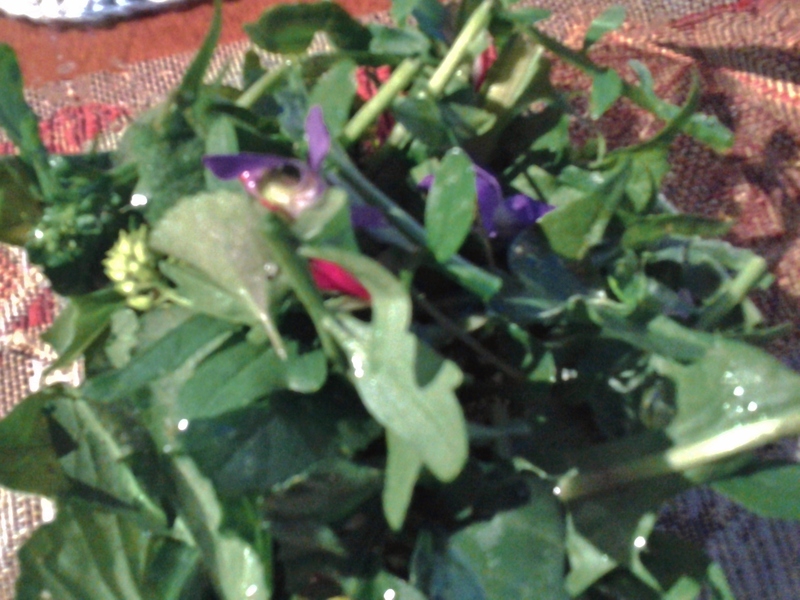 The foraged greens and some of the violets made a very pretty and colourful salad, to which I added a bit of (locally grown) radish, since I had some on hand, and a simple vinaigrette consisting of salt, pepper, white balsamic vinegar, and olive oil. I went on to candy the violets, later on in the evening. It turned out to be a rather satisfying day, even though we did not find any mushrooms! Anyhow, I’ll be keeping my eyes peeled for strawberries, which should be appearing everywhere soon. ‘Till next time, happy foraging!